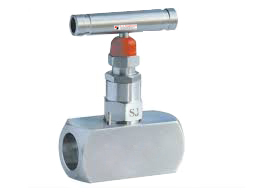 With So many years of industry experience, our organization has been able to bring forth a wide range of Needle Valve. It is precisely engineered by our professionals making use of stainless steel. This valve is widely used in various industries for its high performance, longer life, high strength and leakage proof nature. - BODY & WORKING PARTS MATERIAL : CF 8 ( SS 304 ) , CF 8M ( SS 316 ) & OTHERS. - PRESSURE RATING CLASS : ASA 150 , 300 , 800 , 1500 , 2500 .